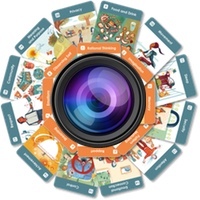 I am currently busy preparing to launch a new product: a web-based version of the in8 Cards using images and video. So last week I sent out an email with a request for feedback to help me ensure that what we are creating will match what you need. I am very grateful to you for the great response. Your response will help me to tailor the way that the videos are organised to make sure that this will be a practical and useful tool that you will enjoy using. In case you missed the survey, but still want to contribute, here is a link to the survey. If you would like to be kept in the loop regarding the new video version of the cards – please click below to register your interest.